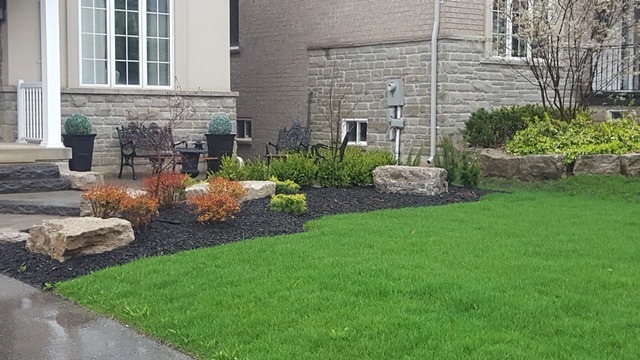 We were always aware of SNG landscaping in our area when we moved into our house. 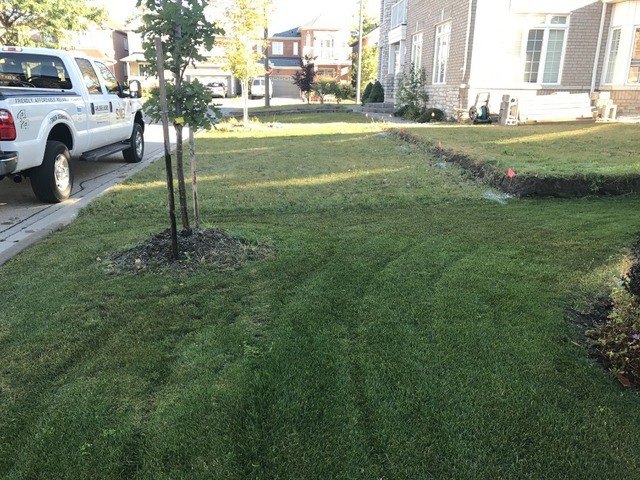 However 2 yrs after we settled in and going with other companies to resod and maintain our lawn we were not happy with the way it turned out. 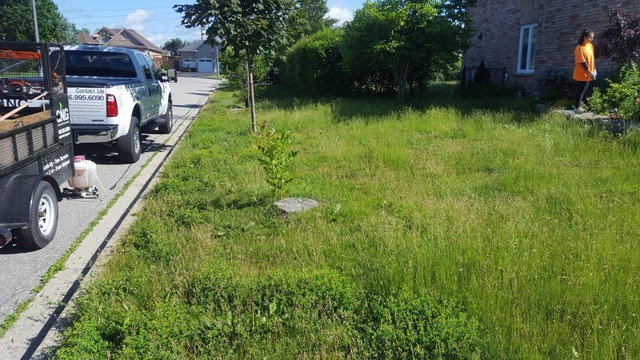 We attempted to save money with the projects but as a result we ended up with weeds and an unreliable company to maintain our lawn. We called SNG and Gabriel came within a few days while other places couldn’t come for a quote till the following week. He provided us a game plan to get our lawn back in order. You can tell he takes pride in his work and that shows whenever he comes for a visit. 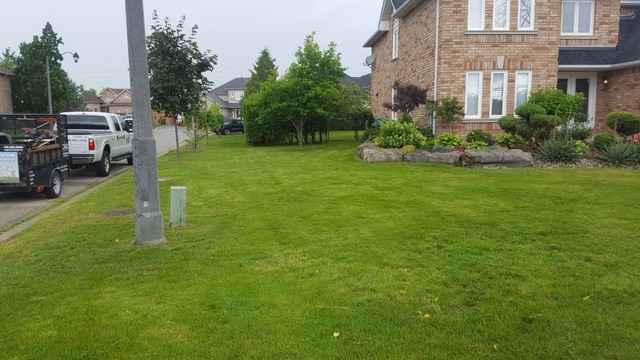 Every time Gabriel and his team come they always send us a message with what was done and instructions to keep your lawn beautiful. We’re so glad we found them and hired them. The communication and reliability alone is worth it! Thanks so much! It's a pleasure working with you guys! Gabriel is very upfront and honest regarding his work, for the last season they were very much accommodating for me as they took me on late during the summer. I am very much satisfied with Gabriel & his team for the efficient and detailed work they did the whole season. We are doing our best for our customers, it's a pleasure working with people like you. I’ve been using SNG’s services for over 2 years now and I would strongly recommend it. Very high quality service and professional attitude. Thank you Gabriel! the team works very hard to get really good results. It's a pleasure working with you! 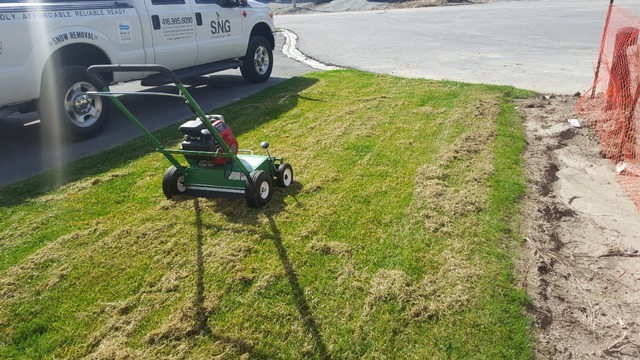 SNG saved are backyard, they were great to deal with they did what they said they were going to do and it looks great!!! We have no issue in recommending then to anyone looking for an honest hardworking contractor who delivers great results. Is our pleasure working with customers like you and Frank. Enjoy the back yard. Our backyard was a mess. 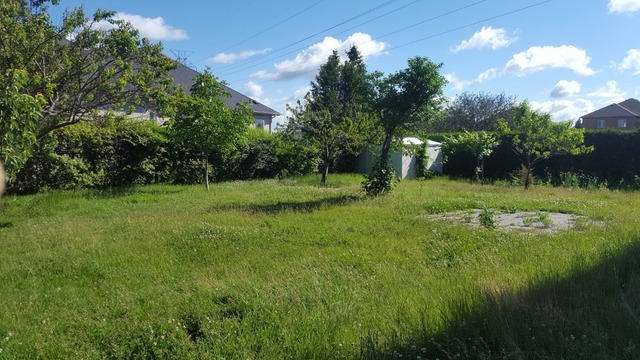 We had a trampoline which killed all the grass and after getting rid of it the whole back yard filled up with weeds. We tried to fight them ourselves but eventually gave up, so I called Gabriel. 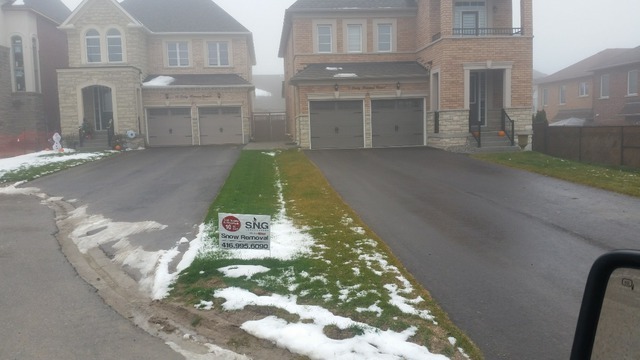 They cleaned the whole yard and sprayed it to get rid of the unwanted growth, but kept the plants we did want. 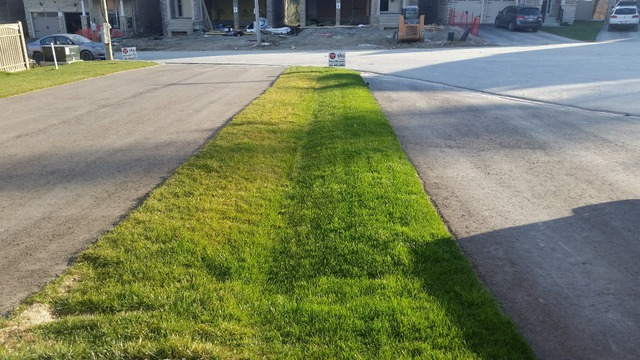 Later on the filled the uneven ground with soil and placed grass on top. They also didba complementary cleaning of the front yard. The outcome is beautiful and very far from the yard look like before. Gabriel and his team worked hard and finished the job quickly and with no problems. I cannot express how thankful I am to find such an amazing landscaping company like SNG Landscaping. The professionalism and expertise is outstanding! 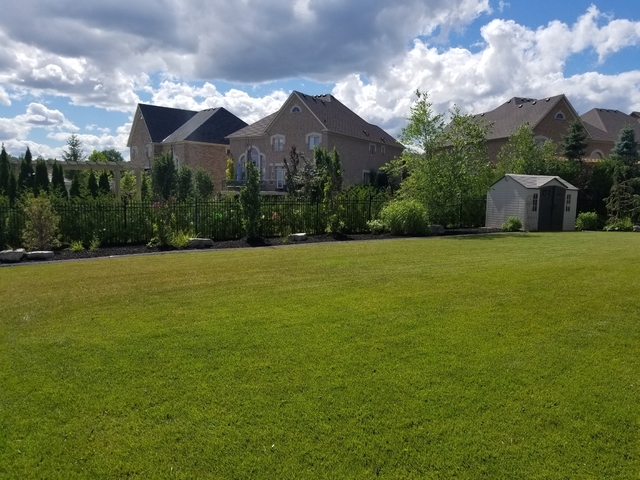 This is the first time having to hire a landscaper for my home with little knowledge of the process, different type of trees, flowers, etc to choose and what would be suitable for my yard based on our needs and lack of availability on my part to maintain. Gabriel, the owner and operator really took the time to explain everything so I could make an informed decision on what I would be happy with. 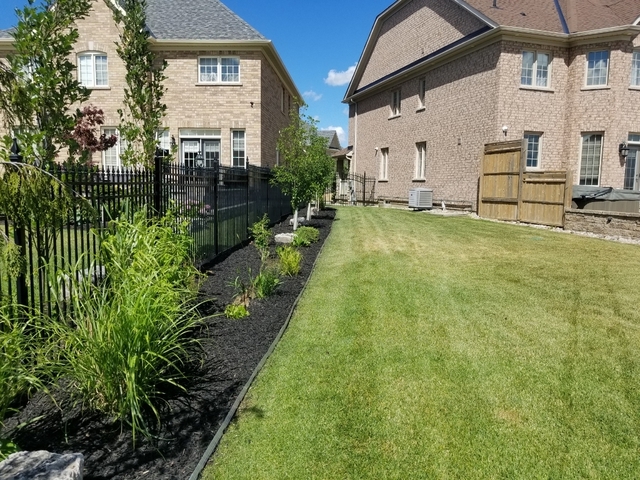 Gabriel helped me to choose the trees, flowerbeds, maintenance package and helped me to stay within my budget without comprising on beauty and health of my front/backyard. I also love the fact that I always get a text confirming his visit each week and what was done which I really appreciate. Gabriel has a really nice personality and a pleasure to have as our landscaper. 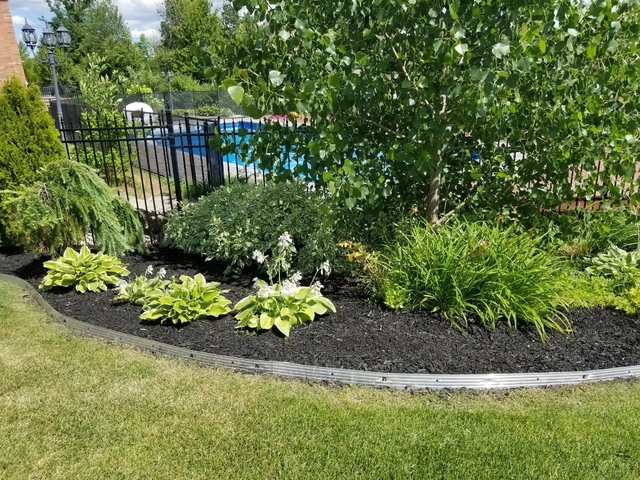 I highly recommend SNG Landscaping! Thank you so much for your feedback. It's a pleasure working with clients such as yourself and Ali. We also strive for the best quality and customer satisfaction in the industry. Have a nice day, Gab. 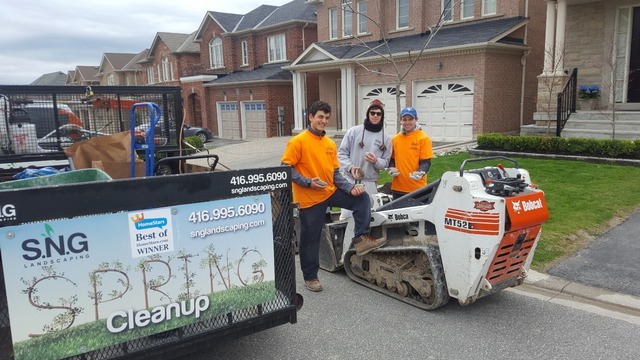 I hired SNG for a spring clean up and maintenance of my stone landscaping. 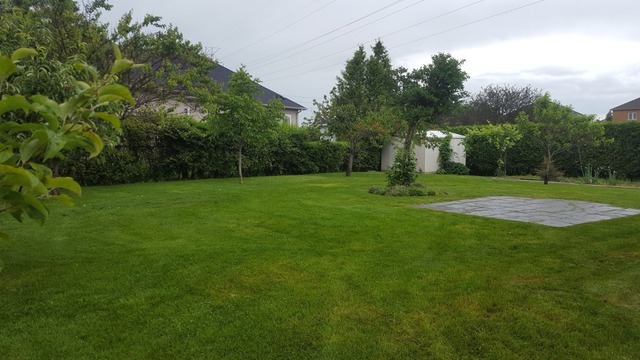 The property looks great, freshly washed and cleaned with no signs of weeds. 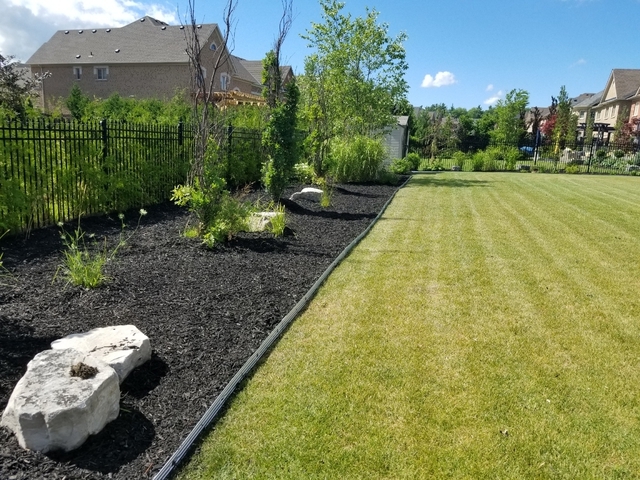 Landscape looks very sharp with fresh mulch. Very professional and detailed, and keeps in contact. Will be using again. Highly recommended. Thanks you for your great review. It is a pleasure working with people like you. 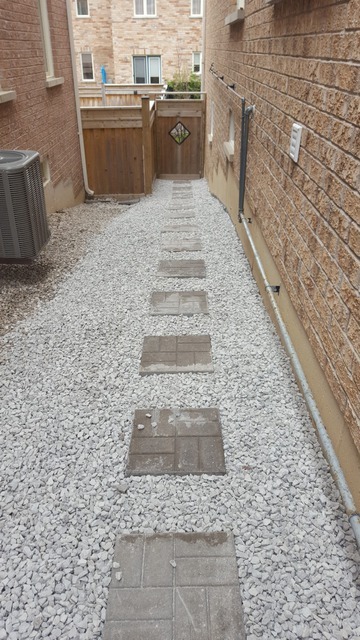 Enjoy your new looking front and back yard. As a property manager for over 10 years SNG stands above as a company that goes beyond to provide professional, helpful, accommodating and flexible service. I would highly recommend SNG. It's a pleasure working with people like you. We do the best for our customers. Enjoy the spring and summer season. We have used this company for three years in a row. Always professional, reliable, fast and reasonably priced. The quality of their work is outstanding! Would definitely highly recommend them! It is a pleasure working with you as usual. I hired Gabriel to plough my driveway this past winter. He only takes on enough customers that he knows he can service, so I never went a full day without clearing; I would see some of my neighbours wouldn't get their service until 12 hours later. He is alsoba kind man. When my brother passed away mid-December, there was a huge snow fall the morning of the funeral. I texted Gabriel and explained to him that I was going to have lots of people back at my house early afternoon. He was at my house within 30 minutes to plough, and he salted, which was not part of our agreement. He really is a wonderful person. It's our pleasure to work with people like you. Now enjoy in your new house the spring and summer. See you soon ????? Gabriel.